News For The Heart: Laurie Huston & Aleya Dao discuss 7 Cups of Consciousness! 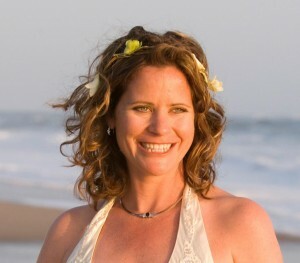 Today at noon EST, Laurie Huston from News the Heart is talking with author Aleya Dao on his New book: Seven Cups of Consciousness: Change Your Life by Connecting to the Higher Realms. Aleya shares powerful tools, touching stories, and a step by step process to help you change your life. Change Your Life by Connecting to the Higher Realms. We really dove into this book and some of the concepts like Body Deva, our team and Higher Self! 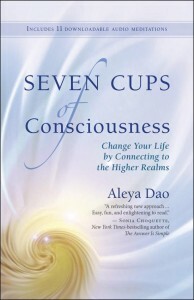 Aleya has created energetic practices designed to help readers and listeners release old patterns and gain access to a higher consciousness for each of the seven cups. Join us for this fascinating discussion! We’re Getting to the Heart of what Matters! Aleya Dao was a successful alternative health practitioner undergoing a sound healing session herself when she had one of those extraordinary ascents into an entirely expanded level of cosmic consciousness. And what she discovered in those few minutes and the days and years afterward, was how ready her Higher Self, her Body Deva and an array of personal multidimensional Team members were to help her overcome her own perceived shortcomings, destructive habits and life’s speedbumps. The woman she is today is not the woman she was then–and she gives full credit to the Higher Realms for helping her evolve to the happy and fulfilled trailblazing spiritual teacher, healer and author that she has become. Aleya offers a direct manual on how to engage with the higher dimensions to advance your own evolution–to create a life filled with happiness and purpose, always connected with a divine and perfect aspect of yourself, protected and guided by a loving angelic presence. She shows how this kind of life becomes possible when we learn to consciously connect at the spiritual level with higher dimensions. Seven Cups of Consciousness offers step-by-step practical guidance for reaching beyond one’s limited physical experience and energetically opening to the guidance and support of multidimensional resources. Aleya has created energetic practices designed to help readers release old patterns and gain access to a higher consciousness for each of the seven cups. Links to eleven powerful downloadable audio meditations that guide readers through these processes are also included. This entry was posted in Archives and tagged 7 cups of Consciousness, Aleya Dao, Clearing and Healing Techniques, Intuitive Counseling, intuitive counselor, Laurie Huston, News for the Heart, News for the Heart Radio. Bookmark the permalink.